Boasts 19 Highway MPG and 13 City MPG! 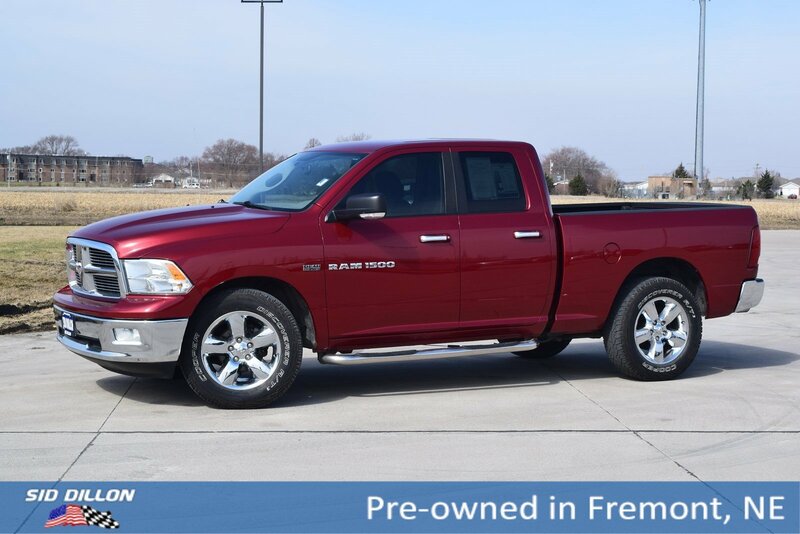 This Ram 1500 delivers a powerful engine powering this Automatic transmission. 26Z BIG HORN CUSTOMER PREFERRED ORDER SELECTION PKG -inc: 5.7L V8 Hemi engine, 5-speed auto trans, 20 x 8 aluminum wheels, P275/60R20 all-season BSW tires, locking lug nuts, full-size temporary use spare tire, class IV receiver hitch, center hub, bright/bright billet grille, fog lamps, quad beam halogen headlamps, leather-wrapped steering wheel, steering wheel audio controls, big horn regional pkg, big horn badge , P275/60R20 ALL-SEASON BSW TIRES (STD), LUXURY GROUP -inc: black fold-away pwr heated auto-dimming outside mirrors w/turn signals, courtesy lamps, ash tray lamp, glove box lamp, underhood lamp, rear dome lamp w/on/off switch, auto-dimming rearview mirror, illuminated visor vanity mirrors, universal garage door opener, DEEP CHERRY RED CRYSTAL PEARL, DARK SLATE/MEDIUM GRAYSTONE, PREMIUM CLOTH LOW BACK BUCKET SEATS -inc: 10-way pwr driver seat w/pwr lumbar, floor-mounted auto shift lever, ash tray lamp, 115V aux pwr outlet, urethane shift knob, 60/40 split-fold rear bench seat, fold-flat load floor storage, 5-SPEED AUTOMATIC TRANSMISSION (STD), 5.7L V8 HEMI MULTI-DISPLACEMENT VVT ENGINE -inc: electronically controlled throttle, HD engine cooling , dual rear exhaust (STD), 3.55 AXLE RATIO, 20 X 9 CHROME CLAD ALUMINUM WHEELS, Variable intermittent windshield wipers. 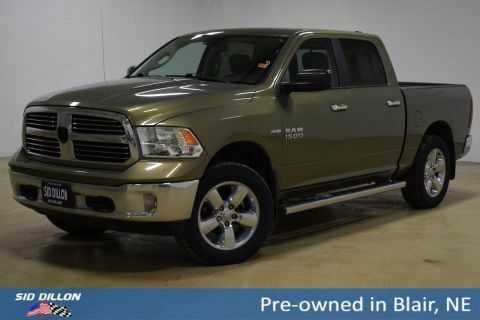 As reported by KBB.com: If you like the rugged image of a tough-as-nails working truck, but not the harsh ride or crude interior that accompanies it, check out the 2011 Ram 1500. 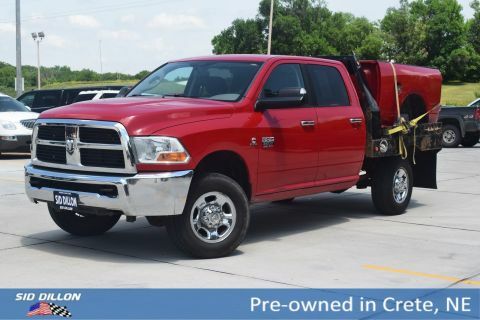 Its big-rig inspired styling is mighty impressive, as is its available Hemi V8 engine. 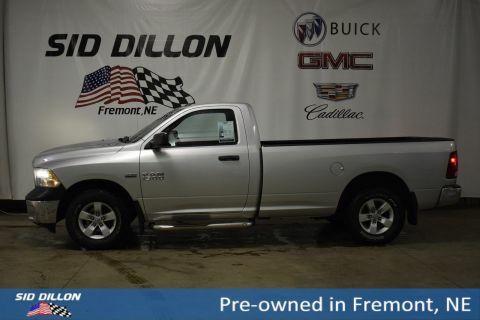 A short visit to Sid Dillon Fremont Chevrolet located at 2500 E 23rd St, Fremont, NE 68025 can get you a reliable 1500 today!